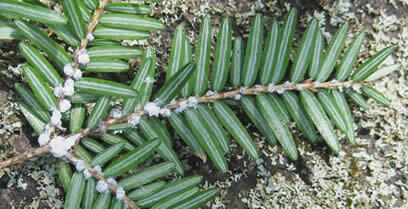 The hemlock woolly adelgid is an invasive aphid-like insect that feeds on hemlocks. Feeding damage leads to decline and can cause mortality of affected trees. Summary of rules on moving hemlock products resulting from harvest of hemlocks.